Happy Friday y’all! We cannot wait for this weekend to start, mostly because it’s supposed to be 70 and sunny, but also because we just downloaded the newest e-original out from New York Times bestselling author Melody Anne! 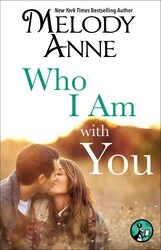 Part of her fabulous Unexpected Heroes series, WHO I AM WITH YOU is the perfect weekend read! Check it out! And because we love you guys so much, here’s lil sneak peek to get you hooked! Was this a dream? It had to be, because time had suddenly stopped. 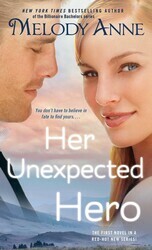 Taylor Winchester found herself flying through the air, her bike released from her hands, and the ground coming up fast. She knew there was nothing she could do, knew in reality she was hurtling through space, but still, it seemed like a dream. She was in a race for a semifinal slot on the motocross circuit. She was winning. Or she had been winning. Until she’d gone over the jump, and—while she was seventy feet in the air, feeling the wind whip across her face—something had gone wrong. Instead of landing gracefully back on the ground and zipping farther into the lead, she was falling . . . falling in slow motion. The dream turned quickly into a nightmare as her body slammed into the dirt track. When her bike landed on top of her, everything went black. Her last thought was that darkness was good, it was pure, it was relief, because her entire body was radiating pain, and the blackness took that pain away . . . In this unforgettable new spinoff of the Billionaire books from New York Times bestselling indie author Melody Anne, two strangers must look past their painful memories to make way for everlasting love. Oh I can’t wait to read this book! This excerpt is amazing!! !